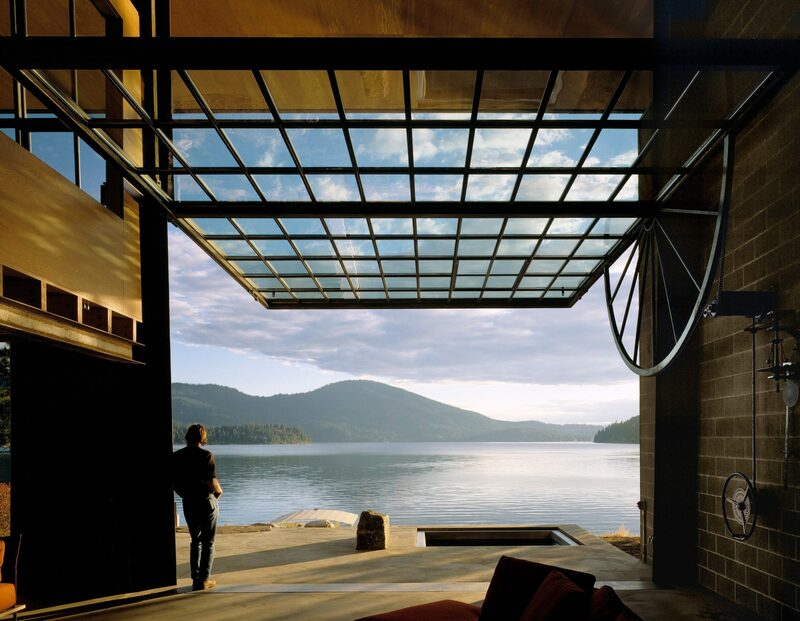 Tom Kundig is an owner and design principal of Olson Kundig. Tom has received some of the world’s highest design honors, including a National Design Award in Architecture from the Cooper Hewitt Smithsonian Design Museum, an Academy Award in Architecture from the American Academy of Arts and Letters, and an election to the National Academy as an Academician in Architecture. Most recently, Tom was awarded the AIA Seattle Medal of Honor as well as a Distinguished Alumni Award from the University of Washington. In addition to receiving scores of design awards—including ten National Honor Awards, ten National Housing Awards, and a COTE Top Ten Award from the American Institute of Architects—Tom’s work has appeared in hundreds of publications worldwide and on the covers of The New York Times magazine, ARCHITECT, Architectural Record, Architectural Digest and The Plan. Tom regularly lectures and serves on design juries around the world, and is named in The Wallpaper* 150 as a key individual who has influenced, inspired and improved the way we live, work and travel. Across his diverse body of work in locations around the world, Tom is known for his elemental approach to design where rugged materials are left in raw or natural states to evolve over time with exposure to the elements – and to human touch. Tom Kundig’s diverse body of work champions the formal and technical, yet makes a genuine connection with the people who inhabit it. From a tiny, elevated cabin in eastern Washington to a 15-story commercial headquarters in Seoul, South Korea, Tom’s work draws heavily on context and place, whether urban or rural. Today, Tom’s work can be found on five continents, in locations ranging from Costa Rica and Brazil to New Zealand, China, Mexico, Sweden, Austria and Switzerland. Tom’s longstanding interest in the ways people interact with their environments, both built and natural, was honed throughout his extensive career designing private residences, but it is just as present in his larger scale work. His institutional buildings, art and natural history museums, hotels and commercial headquarters exhibit a keen sensitivity to scale and detail, resulting in highly approachable architecture that emphasizes quiet moments of human connection. In this way, Tom’s design practice is an ongoing exploration of architecture’s elemental qualities: materiality, texture and detail in dialogue with the human cultural condition. Tom Kundig is one of the most recognized architects in North America. To date, his work has been awarded over 60 local, regional and national AIA awards, including ten National Honor Awards, ten National Housing Awards, and a COTE Top Ten Award. In total, his work has received more than 200 awards. In 2017, Shinsegae International received the World Architecture News Tall Buildings Award, and in 2010 The Pierre was named the World Architecture News House of the Year. Architectural Record has chosen three of Tom’s projects for Record Houses: Rolling Huts, Delta Shelter and Meg Home. Under his leadership, Olson Kundig received the 2009 National AIA Architecture Firm Award (as Olson Sundberg Kundig Allen Architects), was a recipient of the 2004 Emerging Voices Award from the Architectural League of New York, and has three times been named one of the Top Ten Most Innovative Companies in Architecture by Fast Company. For six years in a row, the firm has been named to the AD100 list by Architectural Digest which recognizes the top international talent in architecture and design. Tom’s work has been published over 1,000 times in publications worldwide, and has appeared on the covers of The New York Times magazine, ARCHITECT, Architectural Record, Architectural Digest and The Plan. Thirteen of his projects have been featured in The New York Times. Tom’s work has been featured in many books on architecture, including Living in the Desert (Phaidon, 2019), Elemental Living (Phaidon, 2016), The Future of Architecture in 100 Buildings (Simon & Schuster, Inc., 2015), Architecture Now! Vol. 8 (Taschen, 2010), and The Phaidon Atlas of Contemporary World Architecture (Phaidon, 2008). In 2011, Princeton Architectural Press released Tom Kundig: Houses 2, the follow-up to the 2006 book, Tom Kundig: Houses. Both books have become the Press’s best-selling architecture books of all time, together selling more than 36,000 copies. His third monograph, Tom Kundig: Works, was released in November 2015; within three months, the first print run of 7,500 copies was sold out and in 2018 the book is currently on its third reprint. The international success of all three of Kundig’s monographs is a testament to his worldwide reach and influence on both architectural practitioners and design-minded audiences. His fourth monograph is slated for Winter 2019. Tom regularly serves on design juries and lectures around the world. He has been a university studio critic throughout the United States and in Japan, including at Harvard University, the University of Oregon in Kyoto and the University of Arkansas where he served as the John G. Williams Distinguished Professor at the Fay Jones School of Architecture. He has also served as the D. Kenneth Sargent Visiting Design Critic at Syracuse University’s College of Architecture and most recently, as the Jon Adams Jerde, FAIA Chair in Architecture at the University of Southern California School of Architecture. His award-winning work has been exhibited at the American Academy of Arts and Letters in New York, Istanbul Design Biennial, Syracuse University, and at the National Building Museum in Washington, DC. In 2011, he was the sole North American architect chosen to represent the continent in an exhibit at TOTO GALLERY MA in Tokyo, Japan, where he also served as a visiting design critic in Kyoto. Kundig rock climbing in Idaho.